The Melbourne Declaration on Educational Goals for Young Australians places great emphasis on the work of education to be realistic and responsive to new local, regional and global demands (MEETYA, 2008). This emphasis is at the heart of Brisbane Catholic Education’s Learning and Teaching Framework (site accessible only to Brisbane Catholic Education Employees). The classroom teacher of Religious Education must draw on these contextual understandings to access, curate, engage, innovate and collaborate to resource both Religious Education and the Religious Life of the School so students learning experiences are rich, dynamic, engaging and contemporary. ResourceLink is Brisbane Catholic Education’s contemporary resourcing and information centre, providing staff from Brisbane Catholic Education and Religious Institute schools, the Brisbane Catholic Education Office and other Archdiocesan groups with access to a diverse range of high quality resources to support their work. Our work is driven by the need to ensure that our physical resources such as DVDs, print texts, puppets, posters, Indigenous Australian realia, interactive kits, music scores, music CDs, prayer and spirituality kits and religious realia as well as our online resources such as eBooks and Audio books (only available to Brisbane Catholic Education staff and students), curated online content, blog and films are easily accessible and user friendly. Borrowers can access the ResourceLink library catalogue via the Brisbane Catholic Education public page or via the Brisbane Catholic Education portal or K-web. Browsing can be done via multiple ways but first a simple key word search will (in most cases) draw suitable results. If signed in borrowers can book the resource then and there for a time which is suitable for the planning of learning and teaching within the Religious Education classroom. The Trove website states that Trove is an exciting, revolutionary and free search service. With millions of items, Trove is an unrivalled repository of Australian material. Trove is for all Australians. Whether you are tracing your family history, doing professional research, reading for pleasure, teaching or studying. AustralianScreen is a promotional and educational resource providing worldwide online access to information about the Australian film and television industry and is operated by the National Film and Sound Archive. Scootle is a repository of quality digital resources to support the Australian Curriculum which can be used directly by students and by teachers to learn, teach and collaborate. The term curator, from its Latin roots means to “take care”. As educators we often are curating much content, making decisions about the quality and value of resources, text, technology and other learning activities. Sometimes a great resource is located, but when it comes to teach that topic again, it can’t be located again. With the advent of social bookmarking and other online curation platforms, educators have powerful tools to curate quality digital content. You can learn more about content curation and online curation strategies and tools at these links. Kay Oddone (Librarian ResourceLink) and Susanna Di Mauro (Education Officer Information and Systems ResourceLink) promote the idea that anyone can locate resources but it is what an individual does after they locate such a resource that is really exciting. In their roles with ResourceLink this team of curators work through a specific process to identify and curate quality resources and content. What is the focus and scope of the learning? Who is the target audience for the resource? Is this resource or content appropriate for our particular context and need? Is this the best type of resource for this context and need? Who is the author or creator and are they a reputable authority? What is the content and is it accurate, current and valuable? How should users access the resource or content in keeping with appropriate protocols? What is the literacy and numeracy levels of the audience? Are there any permissions or security needed to access these resources? What are the logistical implications for users in accessing these resources? How user friendly is the curation tool and is it suitable for the target audience? Is the curation approach in keeping with appropriate copyright and creative commons licencing? After the content is reviewed and the curation platform has been chosen, teachers and students should be able to access diverse resources or content in a variety of ways given the technological and connected environment of learning today. Pinterest is a really easy to use app, which is very appealing because it is highly visual. Unfortunately recent changes to Pinterest have resulted the need for users to have an account before they can easily view the ‘boards’ or curated items. As account holders must be aged 13 or above, this limits its use with younger students. While it may still be a very useful tool for teachers and older students, we encourage the use of other tools such as Blendspace or Sitehoover for sharing resources with students. Suitable for secondary students and teaching teams. This online tool will catalogue your texts for you. Users can then add appropriate ‘tags’ for searching reviews or creating book lists. These can then be shared with students, colleagues, parents or the wider educational community. Suitable for primary students, this online tool collates useful websites in one location and is accessible from any computer. Is suitable for all students. Users can collect, publish, and share curated web content. Suitable for high school students and educators, users can build engaged audiences through publishing by curation. This is a highly visual tool, with the capacity to add detailed reflections on each ‘scooped’ item. Suitable for all students to access. Users can organise, explore and share online content by creating content ‘pearls’, which can be displayed in a mindmap style. Please note that many social media and curation tools require users to be aged 13 and above before creating their own accounts. For younger students, it is suggested that the teacher creates a class account which is co-curated by students, or teachers share their curated lists with students. A question that we often ask at ResourceLink is how might a resource be used as a way of unpacking multiple ideas or learning within a classroom. There are so many great texts, resources, DVDs, online content or web tools available that we are often spoilt for choice. Given this, the old adage “that less is more is something to hold on to.” Often one resource can open up different learning pathways. Taking for example Shaun Tan’s picture book The Lost Thing*, secondary or primary teachers can use this picture book as a starting point for study in Religious Education, English, History or Visual Arts. * The book and video of which are available for loan to ResourceLink borrowers. Some people think that innovation it is outside of their particular experience or skill base. Everyone can innovate in some way, be it in the manner in which they access or share resources or perhaps through the creation of a resource for learning experiences using mobile technology. The Melbourne Declaration on Educational Goals for Young Australians calls educators to be responsive to the contemporary landscape within which they teach (MEETYA 2008). Educators are challenged to innovate, not only in the approach taken to resourcing but also the approach taken to technology and pedagogy as well. Ruben R. Puentedura’s model of Substitution, Augmentation, Modification and Redefinition or SAMR, whilst focused on mobile technology, provides a lens to approach resourcing. Quality resources not only enhance student learning, can transform it. Read more about Puentedura’s model and mobile learning here. How might you innovate the way you resource for learning and teaching? Firstly go shopping. Not to buy anything, but to see how retailers or cafes or restaurants are developing spaces and experiences to engage consumers. Education, it can be argued, is similar to that experience as educators seek to engage students, and encourage ‘buy-in’. Importantly a significant amount of time should be spent understanding the context of the audience. Firstly, identify the demands of the curriculum, content areas and achievement standards. What is required? How is this already taking place? Is there a need to innovate? If so why? Armed with this reflection it is then necessary to consider further the context of the class. Who are the learners? What are the individual learning needs? What are the challenges and opportunities within the school in terms of access to technology? What are the needs of the school community? Being responsive to this context, you might substitute a DVD for a reader kit or augment a book with an eBook or modify a learning experience that moves from a re-enactment to a re-development and design and redefine the way students are learning by using technology and resources in a way not done before. Teaching isn’t done in isolation. Quality educators are collaborative. Once more the Melbourne Declaration on Educational Goals for Young Australians challenge educators to develop stronger partnerships (MEETYA 2008). This is certainly an important part of quality contemporary resourcing. The value of collaborative partnerships is vital in the delivery of an exciting dynamic learning environment. Each member of the community has a contribution to make to the dialogue of student achievement within a school – especially the students. Who might you turn to collaborate with? Assistant Principal Religious Education or Religious Education Coordinator. Teacher Librarian or School Librarian. Colleagues beyond the subject area. Students, parents and family members. 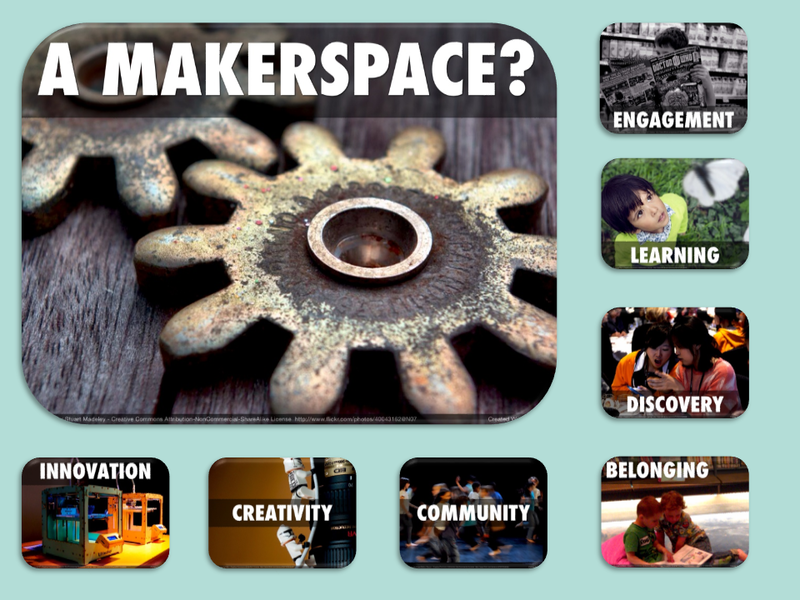 See how other educators are collaborating in a beyond their schools here. 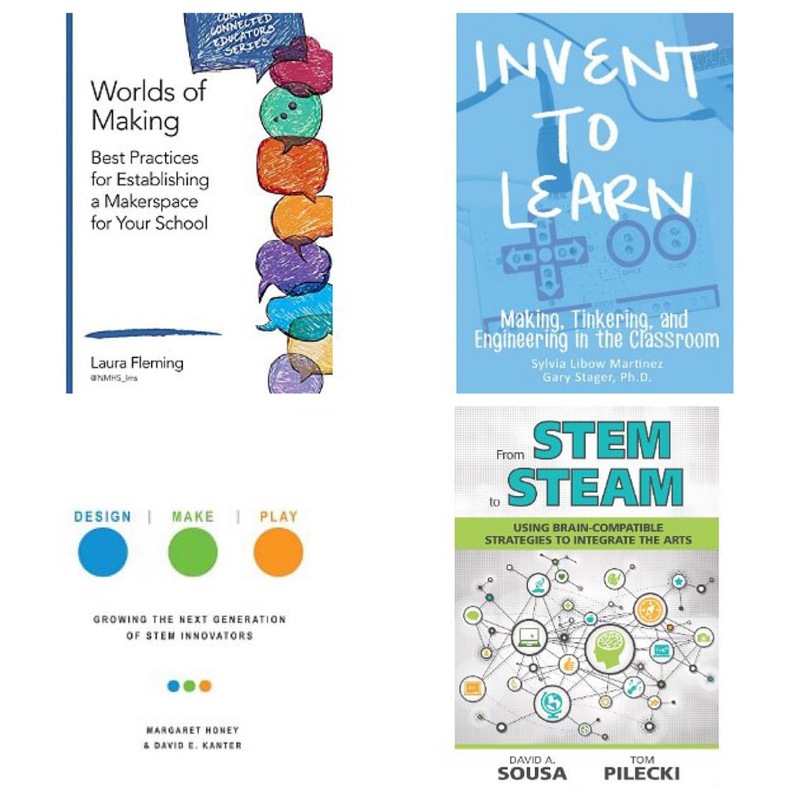 If you are interested in this global collaborative approach to education, learn more from the work of Julie Lindsay at Flat Connections. Resourcing contemporary learning and teaching requires a renewed approach. If educators are to work towards the goals as outlined in the Melbourne Declaration on Educational Goals for Young Australian then now is the time to take stock, to reimagine and to see how they can access, curate, engage, innovate and collaborate to work towards supporting student achievement within a contemporary context. Brisbane Catholic Education (2011) Learning and Teaching Framework, Brisbane, Brisbane Catholic Education. Brisbane Catholic Education (2013) Religious Education Archdiocese of Brisbane, Brisbane, Brisbane Catholic Education. Levin, B. (2008). How to change 5000 schools: a practical and positive approach for leading change at every level. Cambridge, Mass. : Harvard Education Press. MCEETYA. (2008). Melbourne declaration on educational goals for young Australians. Melbourne: Ministerial Council on Education, Employment, Training and Youth Affairs. 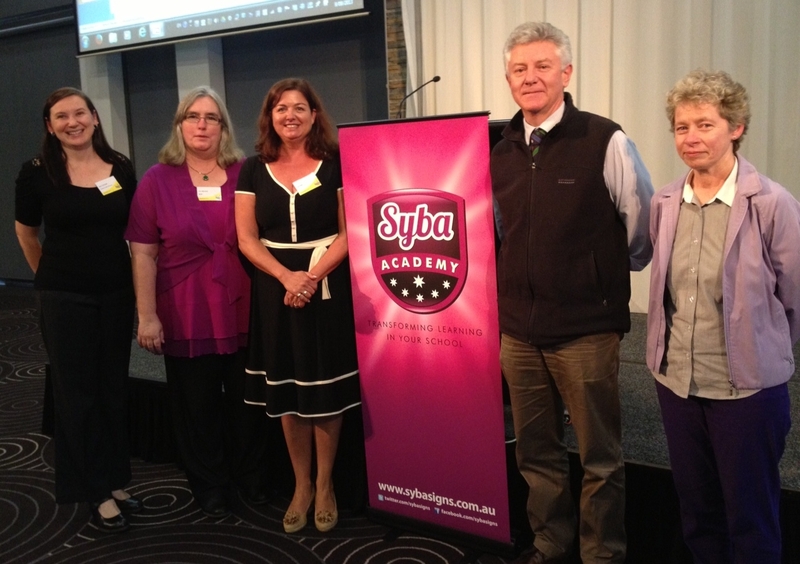 Members of the ResourceLink team were recently privileged to participate in the Syba Academy and SCIS sponsored seminar ‘Resourcing the Australian Curriculum: Building Digital Collections Conference’. 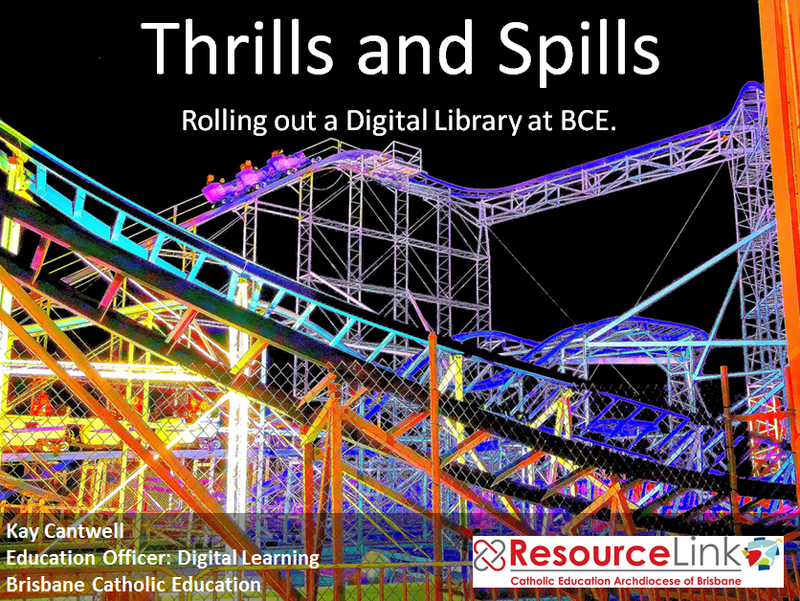 This seminar was of great interest to us, as ResourceLink has been working hard over the past 18 months to deliver a digital library to all schools in the Brisbane Catholic Education (BCE) Archdiocese. This roll-out, which is a product of collaboration with BCE Information Services, Softlink and Overdrive, has been one of the ways we are supporting the provision and modelling of contemporary library services. We have also been focusing on enriching our collection to provide a wide range of both physical and digital resources, including websites, apps, streaming videos and lists of curated sites, and so we were eager to learn more about whether we were taking the right approach, and how to improve our processes and protocols. We were thrilled when the organisers contacted us, and asked if we would also share our journey in delivering the BCE Digital Library as part of the day, by participating in a panel of speakers sharing their experiences. Speakers included Lyn Hay, CSU, Pru Mitchell, SCIS, Colleen Foley, NSW DET, David Munnoch, Trinity Grammar School, and Kay Cantwell, ResourceLink. The day began with a keynote from Lyn Hay Lecturer and Course Coordinator of the Master of Applied Science (Teacher Librarianship), at Charles Sturt University. Lyn’s keynote gave an overview of the value and importance of building digital collections. She presented an overwhelming array of research and evidence which demonstrated how school libraries, qualified teacher librarians and rich collections of both physical and digital resources positively impact upon student achievement and improved literacy levels. The presentation also pointed out how libraries and the provision of digital as well as physical collections provide not only what users need and demand, but also provide equity of access, which are two of the underlying reasons why BCE went ahead with the provision of the Digital Library in a centralised way – to offer equity and access to a wide and balanced collection to complement the schools’ existing physical collections. Hay also highlighted (literally) the huge number of content descriptions within the Australian Curriculum that are able to be resourced by libraries which offer both physical and digital resources – and that the inclusion of ebooks and audiobooks in any school collection was, in her words, ‘a no-brainer’, simply because of the number of learning opportunities they offered in supporting the introduction of the Australian Curriculum, and in learning areas well beyond English, including History, Science and Geography, as well as General Capabilities and meeting the needs of diverse students. The session after morning tea was presented by Pru Mitchell and Colleen Foley, and together they focused on eBooks and eLending, and how the provision of a digital collection is vital for 21st century education. Pru focused on the considerations schools need to make before launching into digital library provision, while Colleen spoke about links to the curriculum, and reported on the NSW Department of Education trial of a digital library in schools, which they reported on in Ebooks for Leisure and Learning. The report found that students and teachers both reported increased enjoyment in reading, and students believed that using ebooks improved their writing, independent reading and creativity, while teacher librarians noted an improvement in reading comprehension. You can read more in the November 2012 Scan article ‘Ebooks for Leisure and Learning‘ by Colleen Foley. Both presentations confirmed the processes and protocols BCE has put in place for the delivery of our Digital Library. These strategies included the importance of providing a range of both digital and physical resources to learners, the necessity for those implementing the systems to have a strong and shared understanding of digital rights management and different licensing agreements and to have a plan for providing centralised access to all resources, whether physical or digital, through the institution’s library management system. BCE is fortunate that strategic planning had already led to all schools within BCE converting to the Oliver Library Management System in the years prior to the delivery of the Digital Library. This has enabled us to deliver access to the ebooks and audiobooks by centrally exporting records into each school’s library catalogue, ensuring that all users across BCE schools have equal access. It also has meant that complex licensing agreements can be managed centrally. The panel of practice session featured David Munnoch, sharing his experiences rolling out a variety of digital resource platforms at his school library at Trinity Grammar School, and my own presentation on our experiences in the delivery of the BCE Digital Library for the Archdiocese. A summary of what I presented is available here. The afternoon session focused on maximising access to digital resources. Lyn Hay presented a very comprehensive overview on the importance of content curation as a role of the contemporary library, and Pru Mitchell gave participants a rundown on the value of providing a library catalogue to users that provides one point of access for all library resources. This image at http://www.bethkanter.org/good-curation-vs-bad-curation/ is licensed under a Creative Commons Attribution Share-Alike 2.5 License. 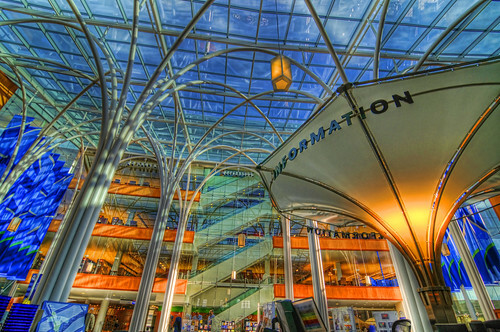 Content curation is a huge field, and worthy of its own blog post. ResourceLink has been engaging in content curation for some time, using many of the tools Hay discussed, including Pinterest, Storify and of course Diigo. Not just creating lists of links, content curation is the selection of specific online resources, which are value-added to in the form of a contextualised commentary. Examples of ResourceLink’s curation include our Diigo lists to support the Religious Education Curriculum the ResourceLink Pinterest boards and the use of Storify to compile tweets shared at various professional learning events (such as the Storify created for this very seminar!). Pru Mitchell’s presentation about library catalogues was also affirming, as ResourceLink has been working to model contemporary collection development and cataloguing. Pointing to articles from Joyce Valenza and Judy O’Connell, Mitchell outlined how a rich collection of digital and physical resources, well catalogued, enhances user access, as they are more likely to experience success finding quality resources to meet their needs from an OPAC search than from a Google search, where the amount of irrelevant information is so overwhelming. A library catalogue can provide a central point of access to a range of materials, and even across library collections – for example, the ResourceLink library catalogue allows users to search across our own collection and our Digital Library collection, as well as Trove, Scootle and the Film and Sound Archive, from within the same interface. Syba Academy and SCIS have put together a fantastic seminar here, which all Teacher Librarians and those involved in resourcing schools should consider attending. The day had an air of positivity, as Teacher Librarians and those who support resourcing in schools were reminded not only of the key role they play in education, but also of the exciting, challenging and ever expanding world in which they inhabit. 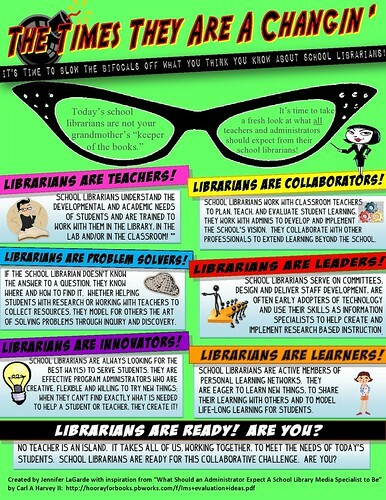 Libraries are no longer confined to four walls and rows of shelves – they can be the portal to a wealth of resources, and a place for meeting, learning, exploring, inventing, creating and so much more! We at ResourceLink have accepted this challenge, and are constantly investigating new ways to support our clients. In an age of ‘infowhelm’, libraries and librarians are best placed to support information management and access, and we use the best tools available to make this possible. In education, mobile devices have taken a strong hold – and for good reason. They are less expensive than computers, more portable, and far more responsive for impatient learners who demand instant access. There are thousands of apps designed with an educational focus, and many more productivity and content-creation apps that can be used effectively by students to facilitate and enhance their learning. Like all new technology, apps bring challenges to the school library – the centre in the school for resource and information management. The school library may be given the responsibility for managing the school’s fleet of mobile devices, and is certainly a natural centre for managing the purchasing of apps. This is an opportunity for the library to develop another area of service for students and teachers, and to reinforce the resource management role of the library. Managing apps can present challenges, as most mobile devices are designed to be owned and managed by an individual. When managed centrally, creative approaches are needed to ensure the device is set up to meet multiple users’ needs while complying with complex legal limitations. It can be overwhelming to keep track of recommendations for app purchases. Time-poor teachers often leave requests until the last moment, or request an app that meets the same needs as one already installed on school devices. One way to manage this is to create an online form that teachers complete in order to request the purchase of apps. You can see an example of such a form here. Online forms may be embedded into webpages, meaning the request form can be built into the library’s online presence. Using a form such as this controls the flow of app requests, helps teachers to consider why they are requesting the app and how they are going to use it, and also gives library staff time to manage the app purchasing and loading process. Having a set time each week for app loading, and making this clear on the form, should go some way to streamline requests and ensure apps are ready for lessons. Once apps are purchased, the next step in effective management is to add these to the library catalogue. As well as providing access to the range of hard copy resources that are physically stored on the library shelves, the school library catalogue should also be a doorway to a range of carefully curated digital resources, including apps. By cataloguing apps, librarians are placing into the hands of users a way of finding quality apps that have been evaluated from an educational perspective and which, through the use of metadata, may be linked to other supporting resources and tools. Cataloguing apps also allows librarians to quickly identify whether an app has already been purchased and the device it has been loaded onto, which is an organisational boon for those managing large fleets of devices. Of course, there also needs to be an awareness of the range of apps that are available on school devices. It is here that social bookmarking tools such as Pinterest and Pearltrees may be useful. These curation tools create appealing visual displays, and are popularly used by students and teachers to manage information. A Pinterest board of apps related to inquiry learning, for example, is a great way for librarians to advertise apps already purchased, and how they might be used. Similarly, Pearltrees allows for apps to be categorised according to learning area or topic. One of the best things about apps is their relatively low cost. Although a few specialist apps can be expensive, on the whole paid apps range from 99c up to $10. In addition, there are many free apps available, some fully functional, and others as ‘lite’ versions that provide a ‘try before you buy’ experience. The decision to choose the free or paid version is dependent upon the app. In many cases, choosing the paid version of an app results in a better experience for users. This is for a number of reasons. The first and most obvious is that, essentially, nothing is really free and, often, free apps are funded with advertising or require ‘in app’ purchases in order to reach full functionality. Secondly, some free apps allow the user to create content, but limit the ways of exporting or sharing the finished product. Other times, the app will watermark the content, or limit the number of times something can be produced. Even though apps are relatively inexpensive, paying for apps to be installed on multiple devices can quickly increase costs. There is a misconception that one app may be installed on up to five devices; however, this only holds true for personal use, and schools must purchase one app per device. Accessing Apple’s volume licencing goes some way to reducing these costs for those using Apple devices although not all apps are available through this program. Who manages the purchases of apps, and how they are purchased is also an issue that must be addressed. If apps are being loaded centrally by the library staff, then it makes sense that they should be in charge of purchasing. The budget for these purchases may be centralised, or may form part of the app request process (i.e. teachers must ensure they have enough funds available to purchase apps that they request). Often gift cards are used to remove the need for credit cards, which can add an extra layer of complexity. An added benefit of using gift cards is that these frequently go on sale, allowing users to save up to 20% on the cost of purchase. Ideally, every app should be carefully evaluated before it is purchased, to ensure the best use of school funds. When evaluating apps, there are three main aspects that must be considered: purpose, design and content, and process. Quality teaching comes from using apps that are not just chosen because they were recommended, but when teachers recognise the app’s purpose and potential. • a familiarity with where the app sits within Puentedura’s SAMR model and whether or not the app simply automates or substitutes for a traditional learning task, or if it brings about truly informative and transformative learning, that simply could not be achieved any other way. (based on the work of Rosenthal Tolisano, May 27 2012). Finally the content and processes of the app must be evaluated. This evaluation will be dependent upon curriculum requirements, the classroom context and the experience of those working with the app. Criteria such as the authenticity of the learning, the connections to the curriculum and the opportunities for differentiation and personalisation should be considered. Many apps are excellent in providing rapid and effective feedback to learners, and allow learners to be creative and self-directed in problem solving. There are many checklists and rubrics available online to guide this evaluation (some are available here). Schools may find that it is best to create individualised criteria, to reflect unique school needs and requirements. One of the best ways of managing the information gathered from this evaluation process is to use an online form, so that evaluations are collected in the form of a spreadsheet that all users may access. An example may be seen here. This article was originally published in SCIS Connections, Issue 86.